"I smile because you're my brother-in-law." (Or sister-in-law.) 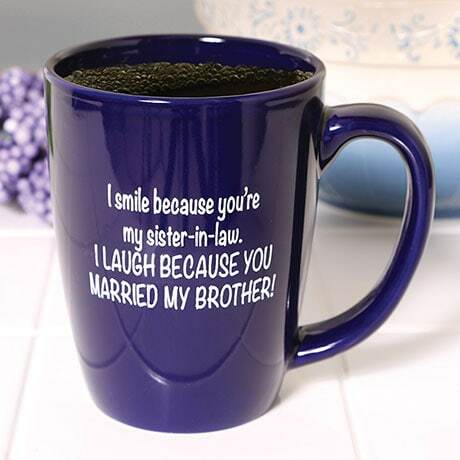 "I laugh because you married my sister!" (Or brother.) 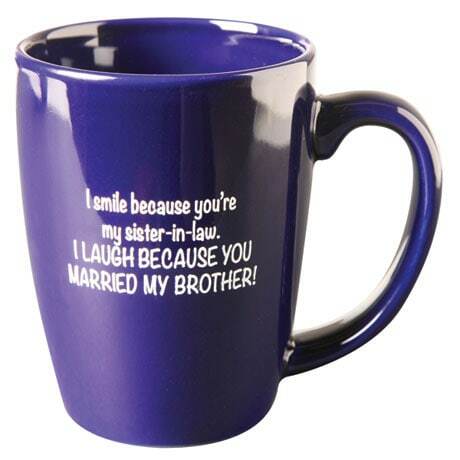 A funny gift for an in-law and a playful jab at a sibling, cobalt blue ceramic mug holds 11 oz. Printed both sides, dishwasher and microwave safe.